A Samsung patent has been uncovered for a connected contact lens designed to beam images straight onto the retina. The report by SamMobile shows a filing from South Korea, back from 2014, which shows a contact lens that hosts a display, camera, sensors to control the various feature using blinks, and an antenna, presumably to maintain a link to a connected smartphone. The lens can then fire digital images onto your eye, for the ultimate augmented reality experience, and even record your surroundings, like a super-sneaky terminator. SamMobile reports that the patent is designed to overcome the limited functionality and image quality of the current crop of smartglasses, which is all well and good. However, given that companies can't even reduce smartglasses to the size of a normal pair of specs, we're not quite sure how the same job can be done via a smart contact lens. It's not the first we've heard of smart contact lenses. Google has been playing with the concept for a couple of years as well, although their version is designed to detect glucose in the blood stream, rather than replace your Google Glass. 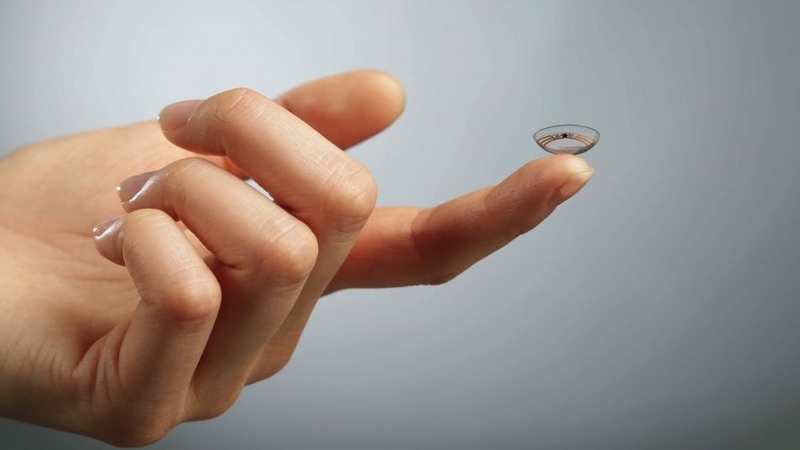 Swiss startup Sensimed was recently given the green light to produce its Triggerfish smart contact lens that's designed to tackle glaucoma.